Phil Ivey (left) and Bill Chen focus their attention on John Juanda (not pictured) with three players left in Event #37 ($3,000 H.O.R.S.E.). The final three players in Event #37 ($3,000 H.O.R.S.E.) have won 13 WSOP bracelets in their collective careers. 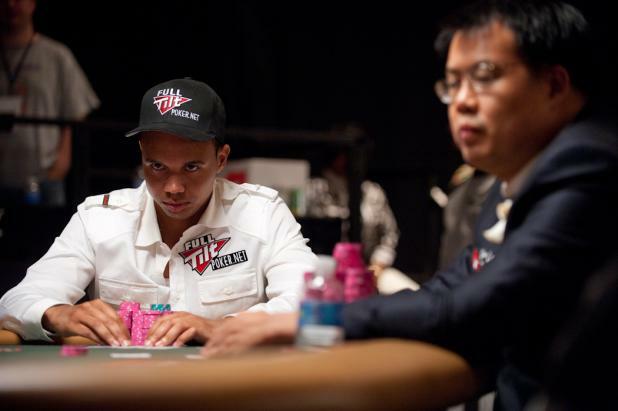 Phil Ivey (left) has seven, Bill Chen (center) has two, and John Juanda (right) has four. By the end of the night, one of these players will have added one more to their total. Jeffrey Lisandro (standing) congratulates Dave Baker after Baker is eliminated in sixth place in Event #37 ($3,000 H.O.R.S.E.). With this finish, Baker moves into the top 10 in the WSOP Player of the Year standings, two spots behind David "Bakes" Baker. 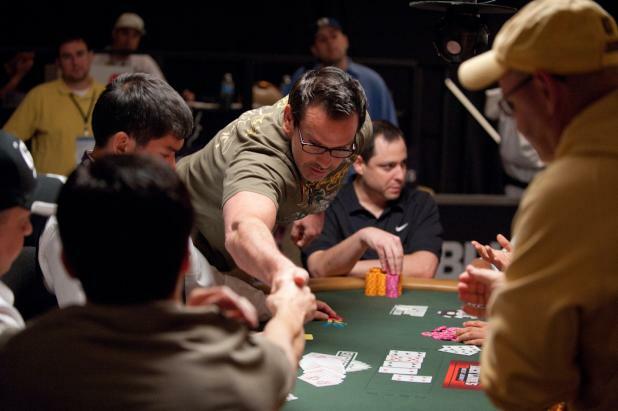 Yes, there are now two David Bakers who are serious contenders for WSOP Player of the Year. Lisandro would be eliminated a short while later in fifth place. Even if you couldn't see Jeffrey Lisandro at your table, you'd likely be able to feel his presence. Last year's WSOP Player of the Year won career bracelets #2, #3, and #4 last year, and now he's looking for career bracelet #5 at the final table of Event #37 ($3,000 H.O.R.S.E.). 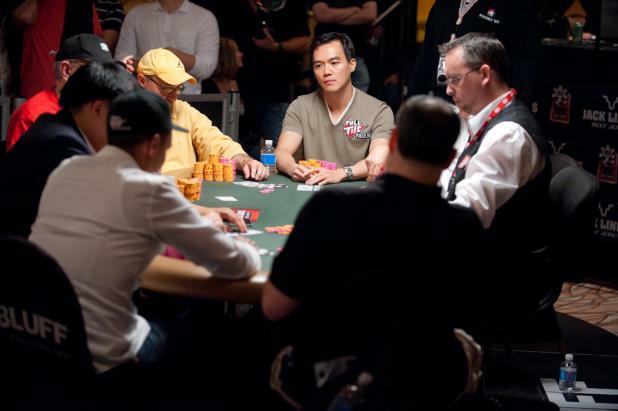 While he could win a bracelet on this night, he has a long road to travel to win back-to-back WSOP Player of the Year honors -- he's 145 points (nearly a bracelet and a half) behind John Juanda sitting next to him. With seven players remaining in Event #37 ($3,000 H.O.R.S.E. 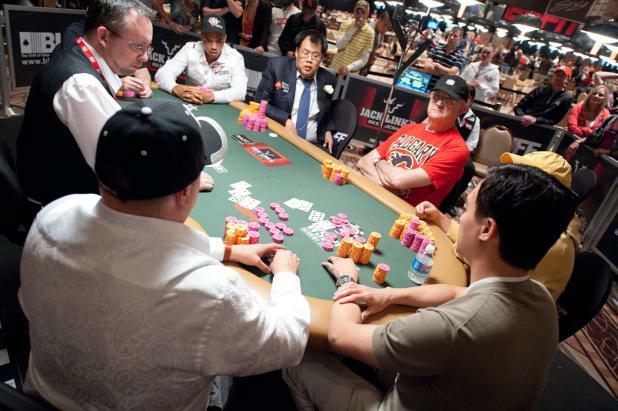 ), John Juanda (foreground, right) takes a big pot against Jeffrey Lisandro (foreground, left) with a bet on seventh street. Lisandro flashed a 10-low before folding to Juanda's 9-7-4-A board. Today was a special day for Bill Chen, in more ways than one. Sure, he was at the final table of Event #37 ($3,000 H.O.R.S.E. ), hoping to win the third WSOP bracelet of his career. But during the dinner break, he drove over to the Las Vegas Strip to attend a friend's wedding. (Which explains why he had been wearing a suit all day.) 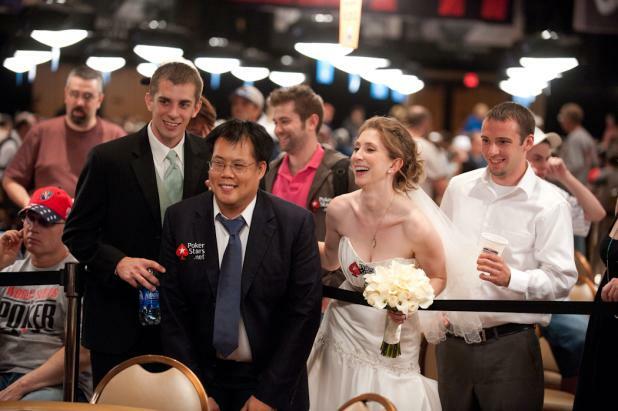 Chen's friends returned the favor and returned to the Rio with him to cheer for him at the final table. John Juanda is a quiet player, and is often underestimated when fans list the best players in the world. 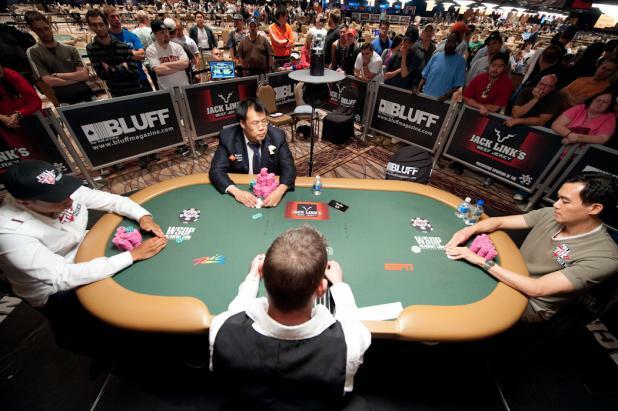 But quiet or not, Juanda is having an incredible WSOP, making his fourth final table in Event #37 ($3,000 H.O.R.S.E.). 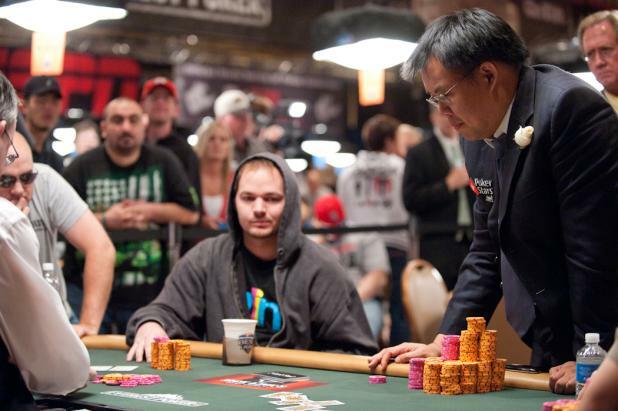 With a deep finish, he'll regain the lead in the WSOP Player of the Year race. Chad Brown shakes hands with the other players after he is eliminated in eighth place in Event #37 ($3,000 H.O.R.S.E.). 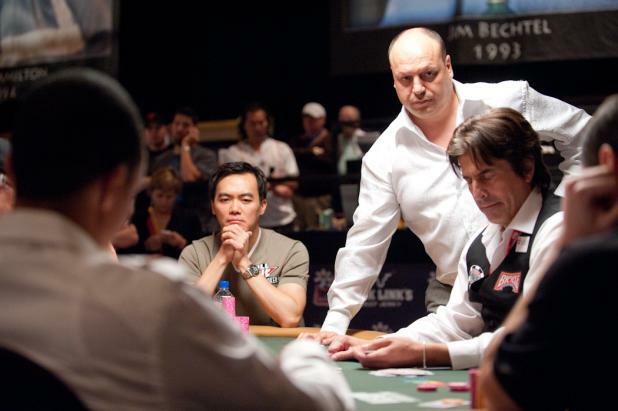 This was the eighth WSOP final table of Brown's career, and he has two third-place finishes and three second-place finishes. Unfortunately, he is still looking for his first WSOP bracelet. 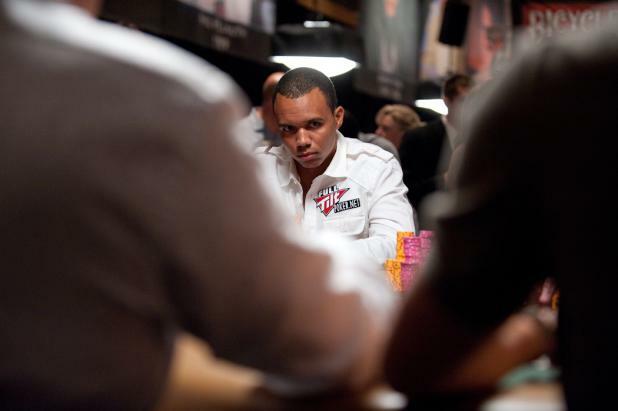 At a final table packed with storylines, all eyes are on Phil Ivey as he attempts to win the eighth WSOP bracelet of his career. 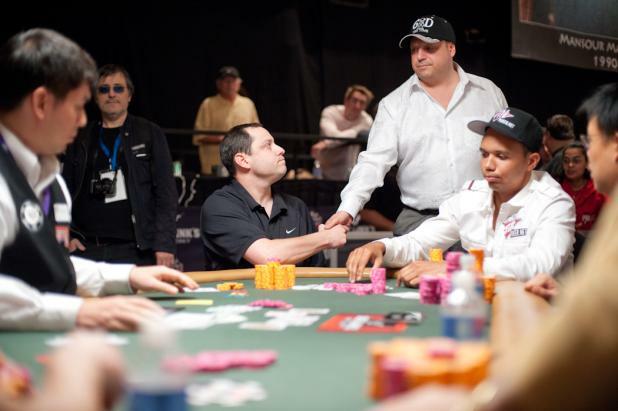 There are rumors that Ivey has more than $5 million riding on various bracelet bets, but at least some of them are contingent on him winning two WSOP bracelets over the next two or three years.